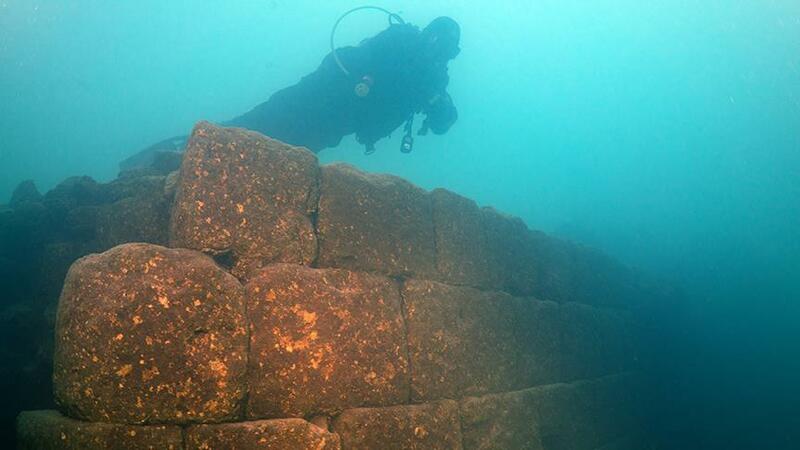 A team of Turkish archaeologists has discovered the remains of what is believed to be a 3,000-year-old castle from the Armenian kingdom of Urartu (Ararat) submerged underwater in Lake Van. The underwater excavations were led by Van Yüzüncü Yıl University and the governorship of Turkey’s eastern Bitlis Province. The castle is said to belong to the Iron Age Armenian civilization also known as the Kingdom of Van, Urartu, Ararat and Armenia. The lake itself is believed to have been formed by a crater caused by a volcanic eruption of Mount Nemrut near the province of Van. The current water level of the reservoir is about 150 meters higher than it was during the Iron Age. said Tahsin Ceylan, one of the researchers to the newspaper. The researchers are expecting to conduct further excavations to reveal the full scale of this discovery. The discovery is expected to attract tourism. And when I arrived in Tiggaramma, the chief cup-bearer Nuvanza and all the noblemen came to meet me at Tiggaramma. I should have marched to Hayasa still, but the chiefs said to me, ‘The season is now far advanced, Sire, Lord! Do not go to Hayasa.’ And I did not go to Hayasa. 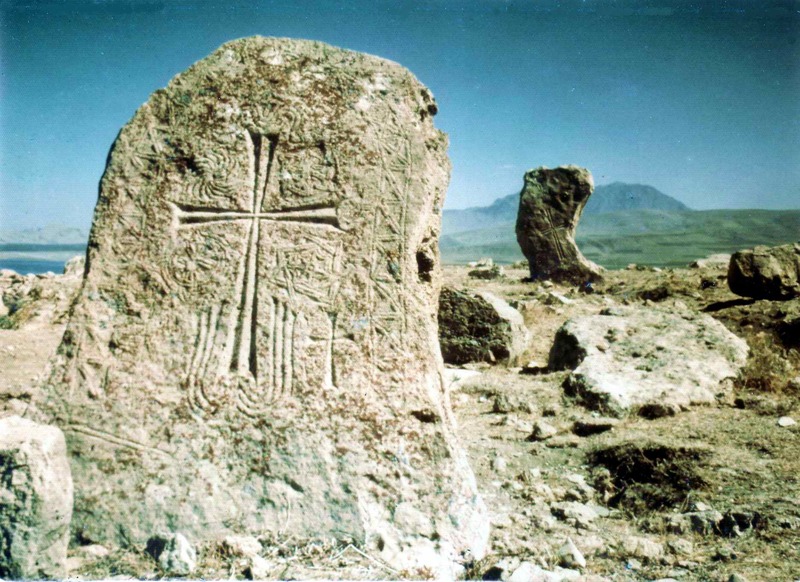 It was exactly the works of Movses of Khorene that led to the initial discovery of the Armenian kingdom of Van (Urartu). 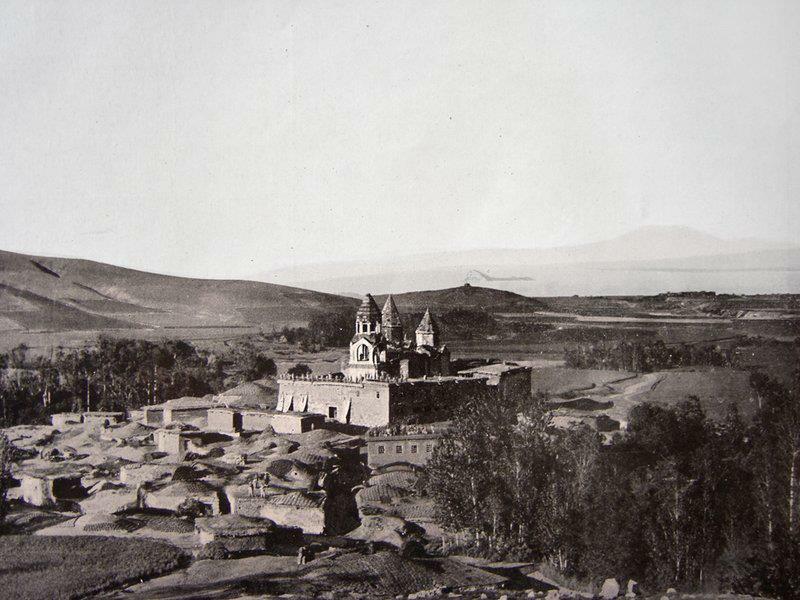 The existence of this kingdom was unknown to science until the year 1823 when a French scholar, J. Saint-Martin, chanced upon a passage in the ‘History of Armenia’ by Movses of Khorene who had recorded the kingdom in great detail. Inspired by these writings Jean Saint-Martin sent a team to the described location and discovered a kingdom completely unknown to western academia at the time. Khorenatsi had described the ancient settlements in Van and attributed them to one of the descendants of Hayk; Ara the Beautiful son of Aram. His description exactly matched, the later discovered, Assyrian clay tablet attributing the foundation of the kingdom to the first king of Urartu; king Aram (c. 860 – 843 BC). The lake was the center of the Armenian kingdom of Ararat from about 1000 BC, afterwards of the Satrapy of Armina, Kingdom of Greater Armenia, and the Armenian Kingdom of Vaspurakan. 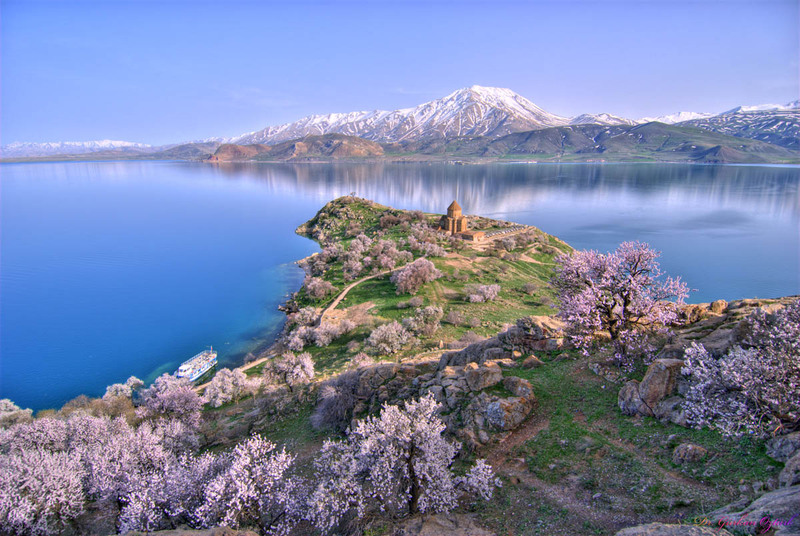 Along with Lake Sevan in today’s Armenia and Lake Urmia in today’s Iran, Lake Van was one of the three great lakes of the Armenian Kingdom, referred to as the seas of Armenia. Its name “Van” is one of the ancient Armenian words for “town” which is still reflected in many Armenian toponyms such as Nakhichevan (meaning: “place/town of descend”), Stepananvan (meaning: “town of Stepan”), Vanadzor (meaning: “valley of Van” ), Sevan, and even the capitol city of Armenia; Yerevan. Lake Van and its adjacent town also named Van is today part of Turkey, however its historic Armenian traces are still visible. At the very center of this lake there is an island called Akhtamar that still holds a thousand year old Armenian church; the Cathedral of the Holy Cross. Armenians have lived in Van up until the early 20th century when Armenians were prosecuted by the Ottoman Turks during the Armenian Genocide. One of the last stands of the Armenian people known as the Resistance of Van, where over 55.000 Armenian civilians were massacred by Ottoman militias and bandits, was extensively discussed in newspapers of that time around the world. The resistance occupies a significant place in Armenian national identity because it symbolizes the Armenians’ will to resist annihilation at the very heartland of the Armenian people. Previous Article Yerevan turns 2799, Congratulation!